Eurostar has announced that its new and advanced Siemens-built trainsets will be used from 2015 to augment existing services rather than forge new links into mainland Europe. Details of the new 900-seater e320 trainsets were first revealed in 2010. These are highly sophisticated trains, designed to cope with power supply and signalling systems in a number of European countries. The plan was for Eurostar to expand its services beyond Brussels and Paris to serve new markets in Holland, Germany and Switzerland. This is something for which both leisure and business travellers have long been asking Eurostar to do. 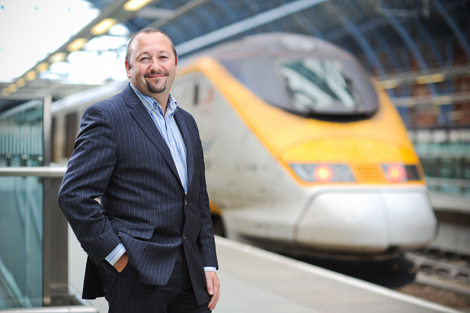 But as Business Traveller revealed in our July/August issue (see Platform), Eurostar has put expansion on the back burner. 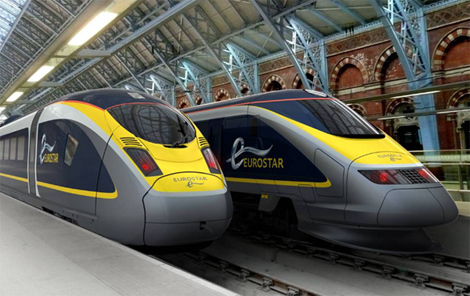 Instead, initially at least, says Eurostar’s head of global sales Darren Williams, it will deploy the expensive German trains (it’s thought the ten sets cost 600 million euros in total) to provide extra seating between London, Brussels and Paris — a purpose for which this state-of-the-art rolling stock was never intended. Eurostar originally intended to refurbish the complete 27-strong fleet of existing trains (Eurostar actually has 28 sets, but one remains out of service) but that plan has been scaled back to only 14 sets. The renovated sets were supposed to enter service between 2012 and 2014 but, to date, not a single trainset is in operation. The latest plan calls for the first of the refurbished trains to enter service next year. It is unclear what will happen to the remaining unused trainsets. Will they be mothballed? And why has Eurostar seemingly decided to put route expansion on hold? As Business Traveller noted, the competitive pressure from Deutsche Bahn no longer exists (in the short term at least) while UKBA procedures for through running beyond Brussels and Paris means that through running isn’t possible without much passenger inconvenience. But when the e320s do enter service in around 2015 or 2016 (assuming all the technical issues are sorted out) between London, Paris and Brussels, passengers will gain from travelling in the world’s most modern trainsets. Some of the amenities which will be offered to passengers (unlike the existing trains) will be wifi connectivity, entertainment channels along with music and news feeds.